Pictured above, left photo: The First Financial Board of Directors and staff prepare to cut the ribbon to commence the groundbreaking of the credit union’s newest branch alongside Gordon Holder (Board Chair, center) and Issa Stephan (President/CEO, far right). Pictured above, right photo: Howell Township officials attend the ceremony. 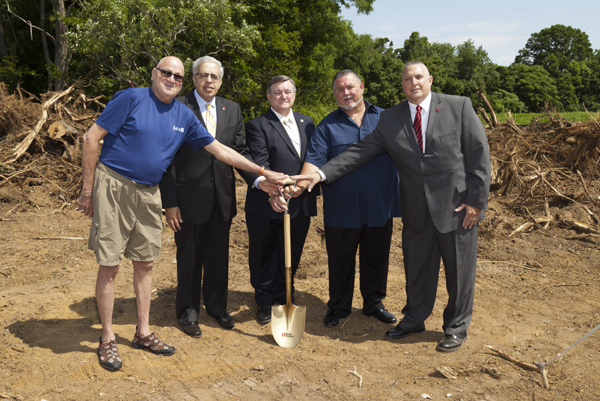 From left to right: Paul Schneider (Howell Planning Board), Issa Stephan, Jeffrey Filiatreault (Township Manager), Town Councilman Robert Walsh, and Gordon Holder. 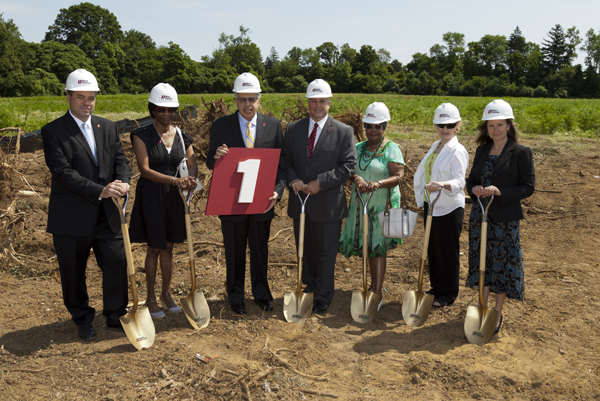 First Financial Federal Credit Union (http://www.firstffcu.com/) held a groundbreaking ceremony on June 24, 2014 at the site of the credit union’s soon to be newest branch at 389 Route 9 North (next to the Howell Park & Ride) in Freehold, NJ 07728. Pictured above: Some First Financial Corporate Office staff with Issa Stephan and Gordon Holder. In attendance were several Howell Township officials including Township Manager Jeffrey Filiatreault, Councilman Robert Walsh, Paul Schneider of the Howell Planning Board, along with Howell Chamber of Commerce Executive Director Susan Dominguez, the First Financial Board of Directors and Supervisory Committee, President/CEO Issa Stephan, realtor Marshall Kern, builder Mitch St. Lawrence, and members of the First Financial Corporate Office staff. 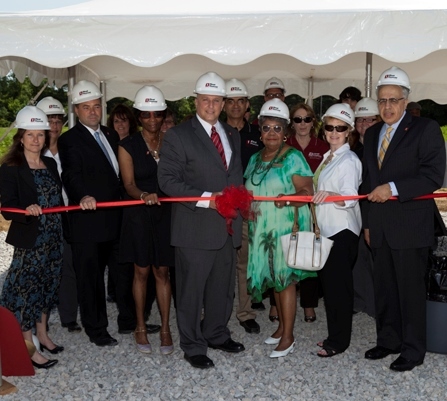 The ceremony kicked off the construction of the credit union’s newest branch, which will be a primary banking location for approximately a quarter of the credit union’s 20,000 members. 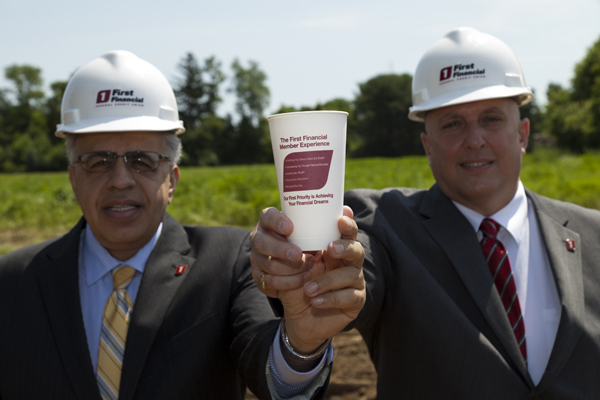 First Financial’s newest branch will feature many important banking conveniences such as a drive thru, drive up and walk up ATMs, and more. Pictured above: Issa Stephan and Gordon Holder showcase the First Financial Member Experience. Pictured above: Some of the First FInancial Board of Directors and Supervisory Committee from left to right – David Graf, Laurita Carr, Issa Stephan, Gordon Holder, Elizabeth White, Karen Fiore, and Catherine McLaughlin. More photos from the ceremony are available by following First Financial on Facebook at www.facebook.com/firstfinancialnj. 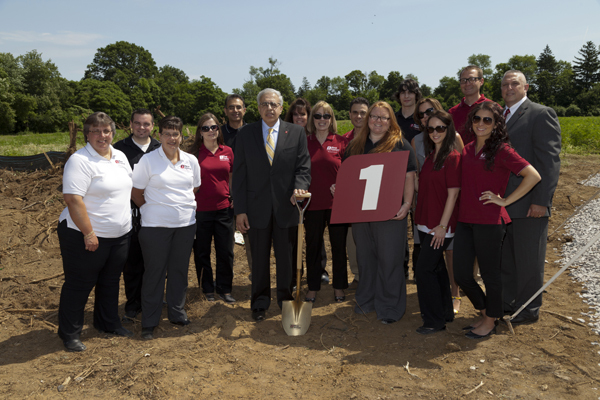 This entry was posted in News & Community and tagged Groundbreaking Ceremony, Howell/Freehold Service Center, Monmouth County, NJ by VP of Marketing and Business Development Jessica. Bookmark the permalink.